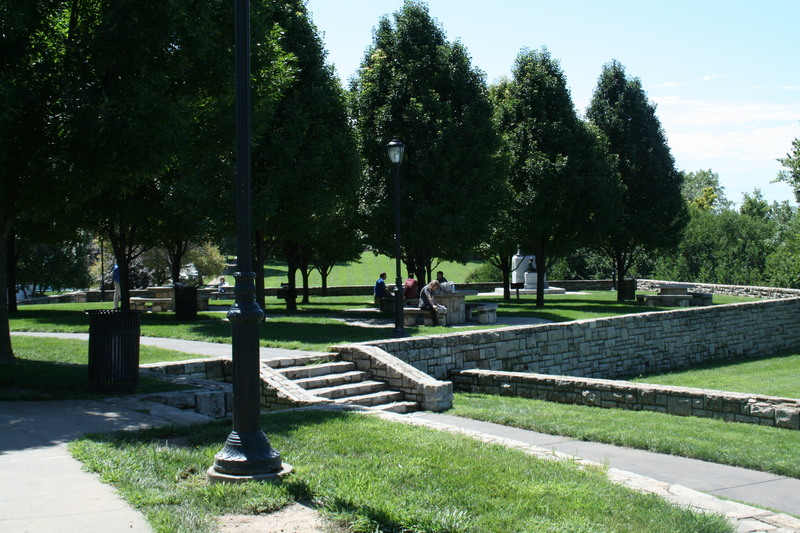 West Terrace Park is one of the oldest parks in the Kansas City park system. 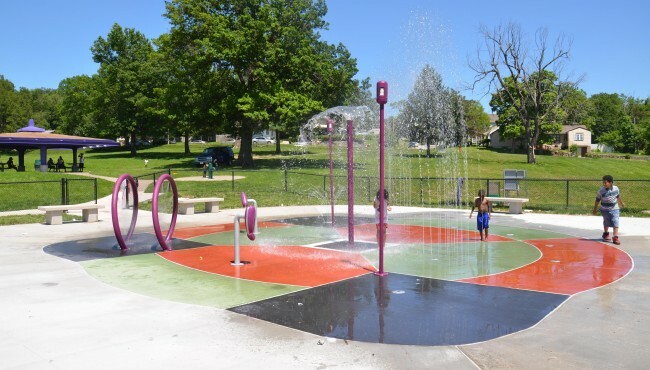 It is unique because two smaller parks Mulkey Square and Jarboe Park — are included within its 30.56-acres. West Terrace Park boundaries are near 6th Street to the north, Interstate I-35 to the west, 17th Street to the south and an uneven border to the east near Summit, Jefferson and Pennsylvania. 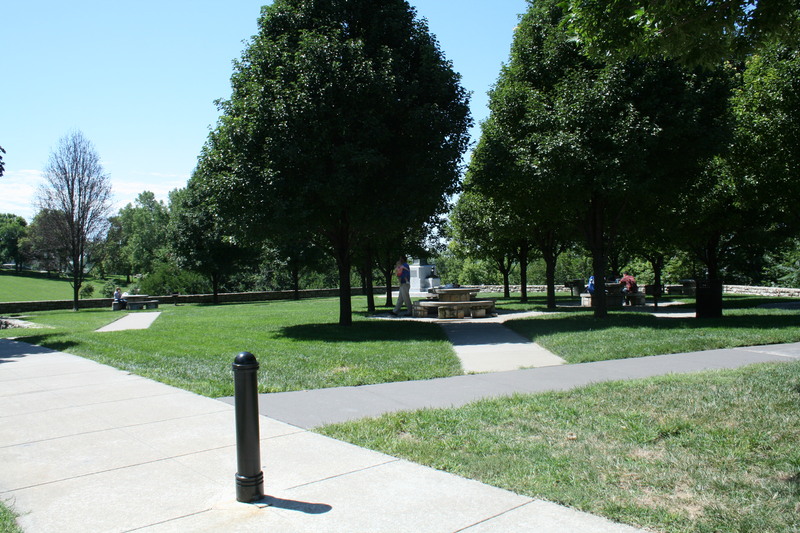 “West Terrace” was part of the early master plan for parks and boulevards created by Landscape Architect George Kessler and the Board of Parks and Boulevard Commissioners appointed in 1892, particularly August Meyer, the president of the Board. The West Bluffs overlook the Missouri River, areas north of Kansas City in Missouri and west into Kansas, and the Kansas River. Naturally beautiful, the Bluffs are thought to be historically important as a place where Meriwether Lewis and William Clark stopped on their expedition to the western United States in the early 1800s. Fashionable homes were built on the top of the bluffs in the 1860s and 1870s, in an area called Quality Hill. 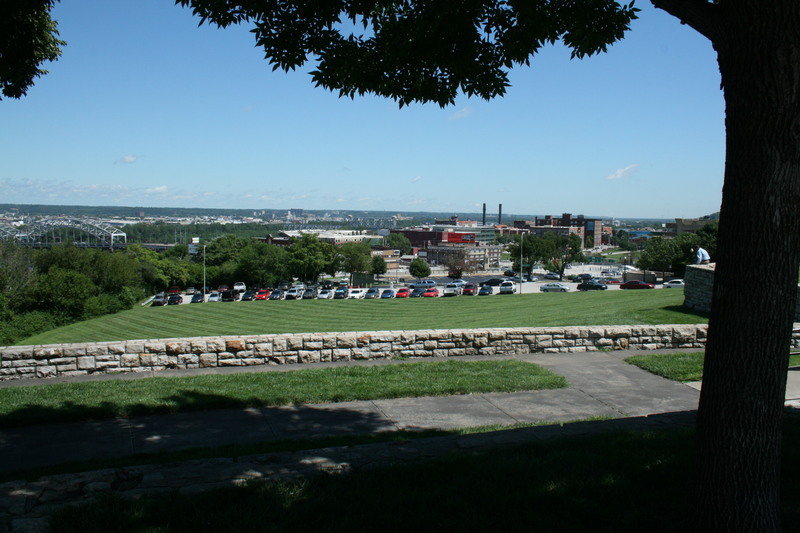 In the 1870s, the area below the bluffs to the west became known as the “West Bottoms” and developed as a commercial and industrial area, including cattle stockyards. In 1878 the City’s Union Depot train station was built there. 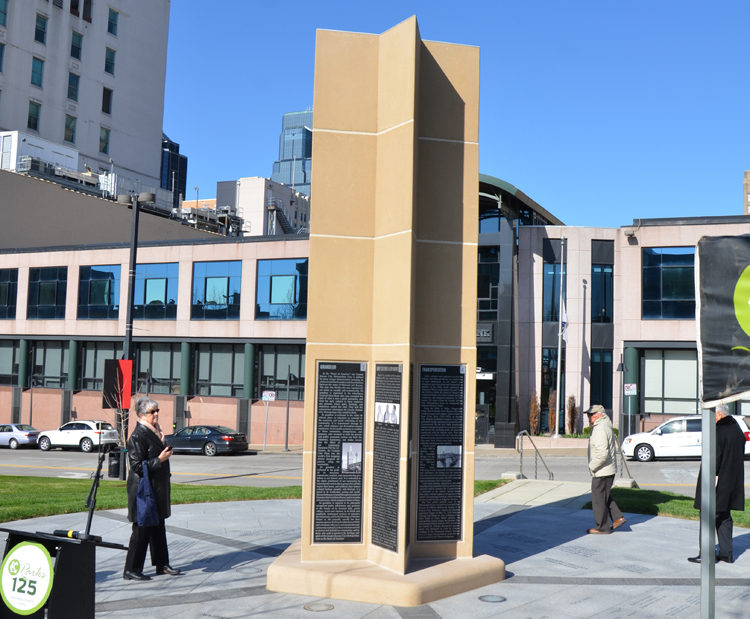 By 1892, the wealthier people in Quality Hill had moved to other parts of the city because of the sounds and smells of the businesses in the West Bottoms. The Bluffs had become unsightly due to their “development” into an area filled with ugly shacks, muddy roads and large advertising billboards. When people came off the trains, one of their first sights of Kansas City was the now unattractive West Bluffs. 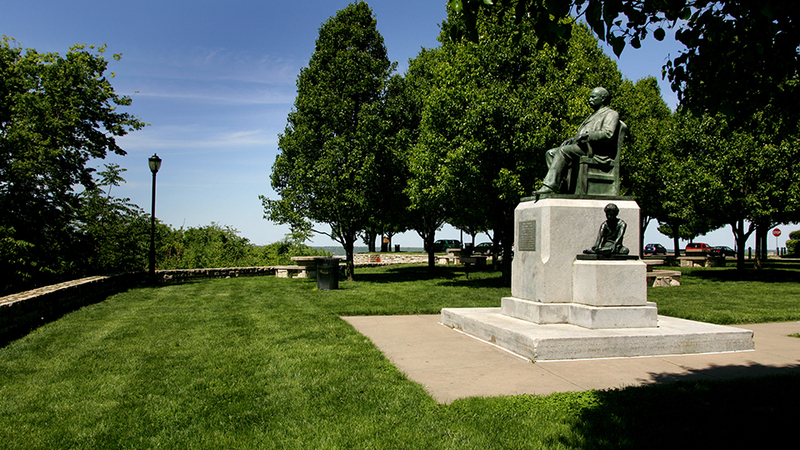 In the park and boulevard master plan presented in the 1893 Report of the Park and Boulevard Commissioners, Mr. Kessler proposed improving the “West Terrace” by removing the shanties, cleaning the area, planting vines on the bluffs, providing lookout points on top of the bluffs, developing “terraces” with flowers, shrubs, trees, walks, a possible fountain and plaza. 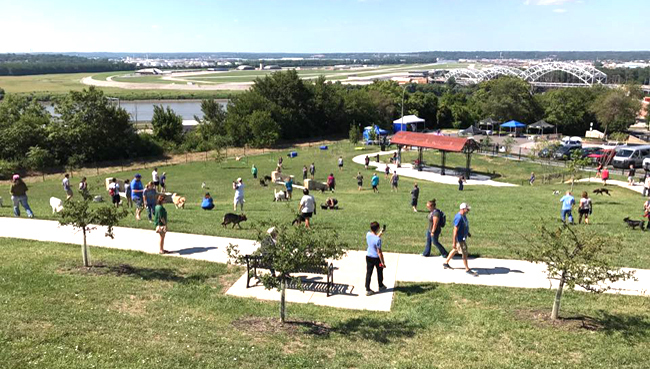 While there was support by many for the development of the property, opposition arose from others who did not want to pay taxes to create what they saw as an “ornamental” park with little recreational value, since large parts of it were on the side of a hill. The “Taxpayers’ League” fought against funding the three parks West Terrace, Penn Valley and North Terrace (now Kessler) proposed in the 1893 master plan through property taxes. 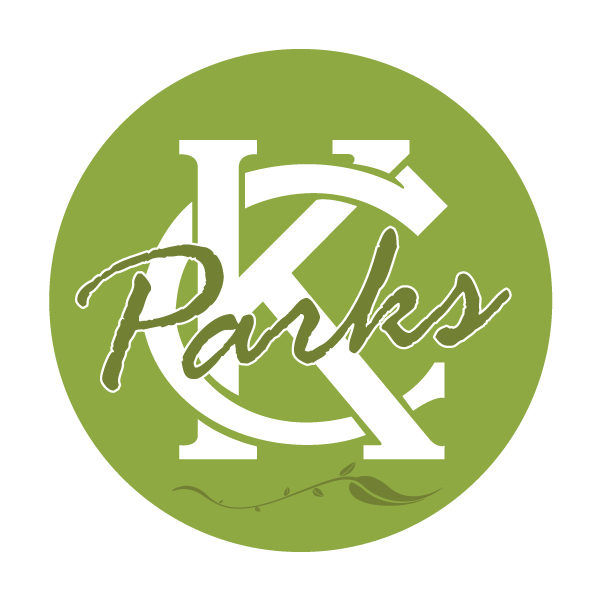 After several years battling in the legislation and courts, property for all three parks was acquired. 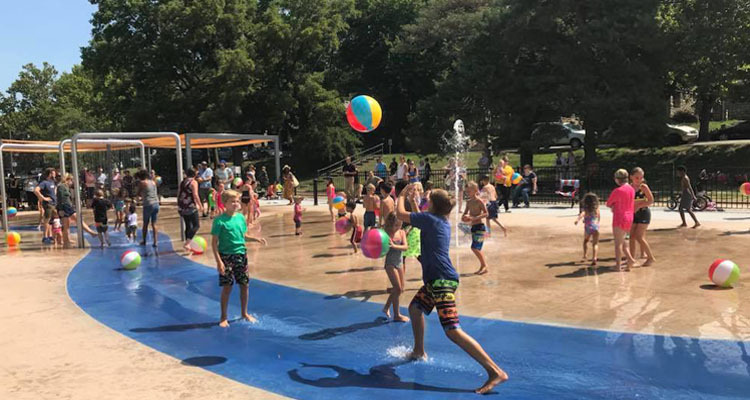 Improvements made to West Terrace Park included clearing the bluffs of tenements and other unsightly buildings, creating observation points and recreational areas, and constructing Kersey Coates Drive. 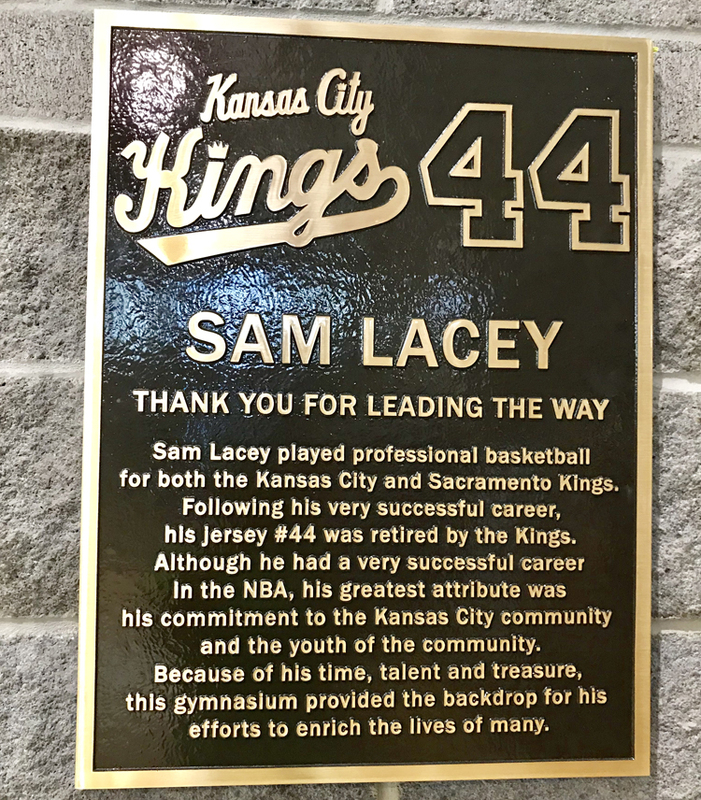 In the 1950s, part of the park’s property and Kersey Coates Drive was condemned to build the Southwest Trafficway and Interstate I-35.